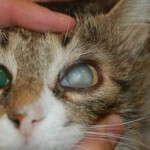 The first symptoms of the disease are round furless patches appearing on cat’s body. At first they are quite small, however, in case of treatment delay, they progressively enlarge threatening to spread all over the body. Usually, the patches appear on cat’s muzzle, then on the ears, tail and paws. Exposed skin areas during this process are covering with scaly flakes, fatty to the touch. There is a third form of the disease which is called atypism. 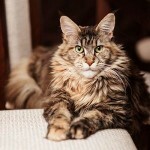 It is hard to diagnose, especially in long-haired breeds, such as Persian, Turkish Van, and Siberian cats. Thin hair on the affected areas may make you take ringworm for chafing and bruises. Besides, at the initial stage these specific patches are hard to notice. All these factors complicate the ringworm diagnosis. To catch ringworm is easy: direct contact with an infected animal, or touching the object an infected cat touched, is enough. Unlike other diseases, a ringworm causative agent is lasting, up to several years in environment. 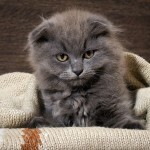 That’s why cats are often infected, and the ringworm is one of the most popular cat diseases. 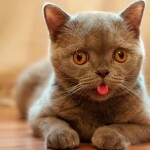 High-risk factors are chronic diseases, bad keeping conditions, low immunity, or young age of the cat. Also, a dangerous is for your cat to contact stray cats, which due to their hunting lifestyle, may catch a disease from the mice who are the causative agents of ringworm. 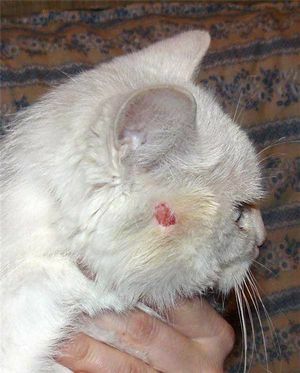 Even though your cat is an extreme home-sitter and doesn’t go out, ringworm still can appear. The causative agent, in this case, can come from your shoe soles. It’s a good reason to remember about infective diseases preventive measures. Regularly vaccinate your cat against fungus diseases, and visit veterinary from time to time. If while brushing or just stroking your cat you notice a patch or areas with broken hair, take your pet to the veterinary. Even if you don’t see any disease symptoms, in any case regularly examine your cat. Early stages of the ringworm are difficult to diagnose by yourself. And in the veterinary clinic there are special ultraviolet lamps which can detect the ringworm.